Igbinoghene jumped 50-4 (US#2) at his home invitational Saturday. What you DONT KNOW is he fouled on two 52+ jumps prior to SETTLING for 50. Hewitt-Trussville (AL) High's Noah Igbinoghene became the second high school boy to go over 50 feet in the triple jump on Saturday ... and he did it on his home turf. We will be LIVE STREAMING both days of the Hewitt Trussville Invitational. You wont want to miss the biggest meet taking the place the last weekend of the regular season! 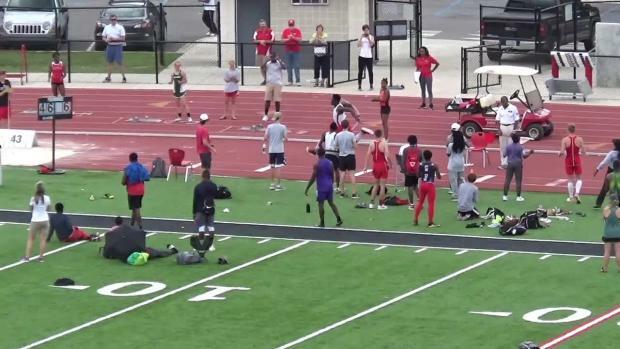 Miss any of the action from the Hewitt-Trussville Invitational? Watch ALL races from today's action here!